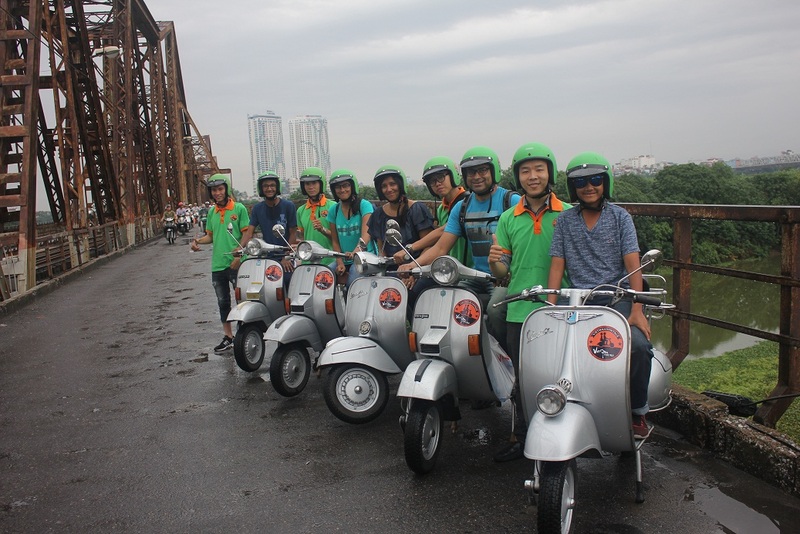 Our Tour Includes : Vintage Vespa & professional driver and really safe, full face Helmets, English speaking tour guides, lunch, all entrance fees & cold water throughout, free pick-up and drop-off, rain poncho (if needed), pictures from your tour, lots of fun! 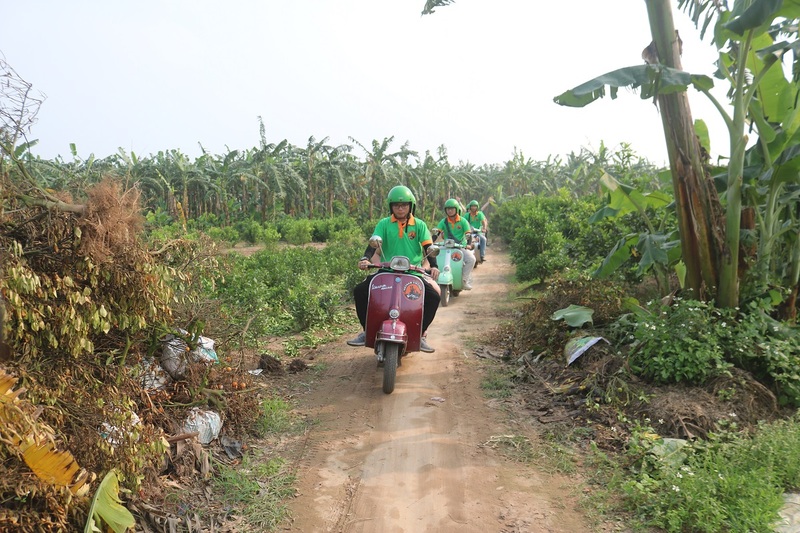 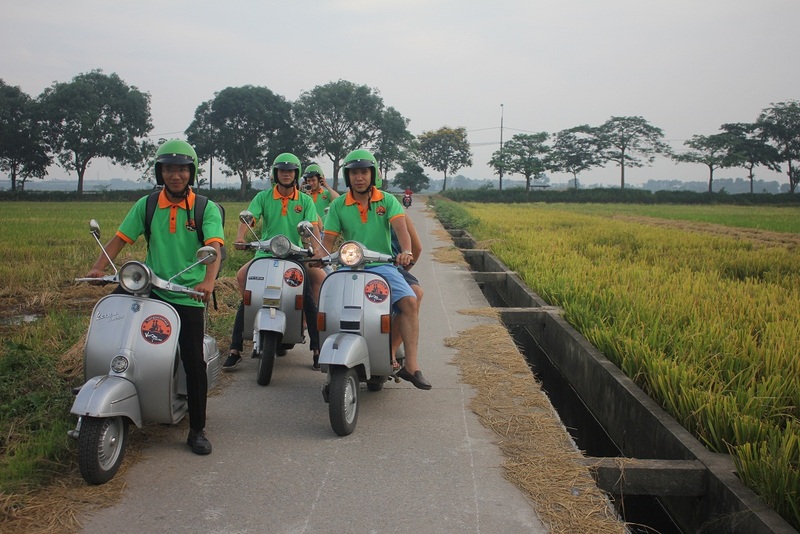 Get off the beaten track, see green of the rice paddies fields, beautiful rural villages, see the culture meet the people, learn of the history, travel With Hanoi Vespa Tour, we will show you all of the local life and traditional of the villages near by Hanoi just in a short period of time without missing out on any experience! 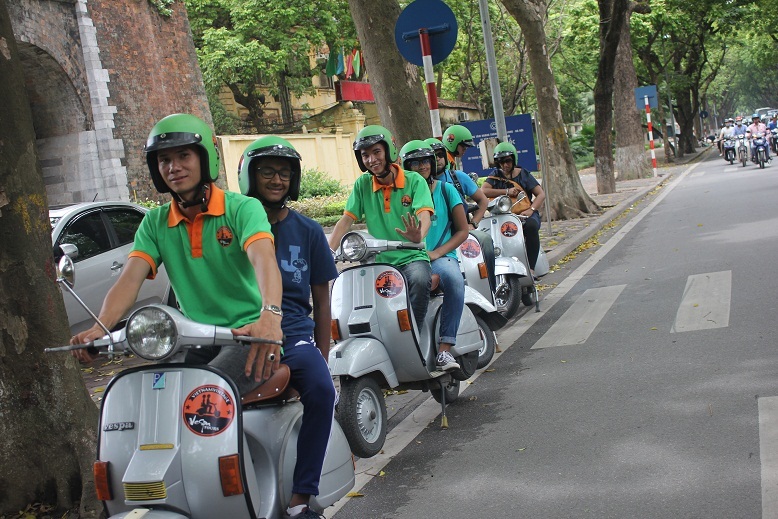 5: we come back and ride again to visit Temple where Worship An Duong King and you will clear about that dates back to 257 BC it was capital of Vietnam Call Co Loa the perfect place for you learn about the history of Hanoi and Vietnam. 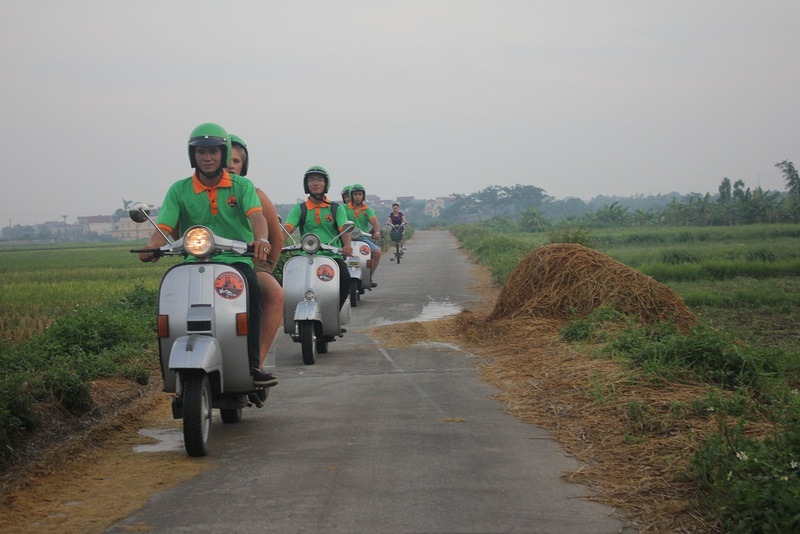 7: During these 5 hours, your feelings will change about the countryside and city people and how the live. 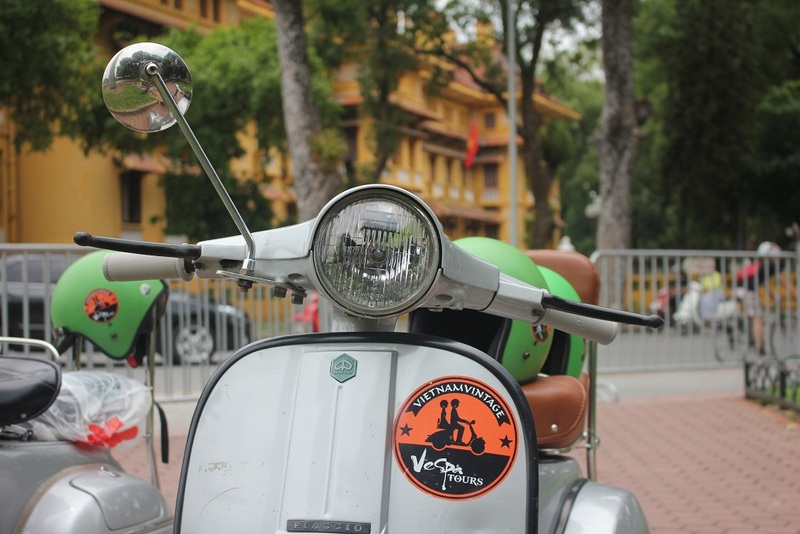 Let's go and see what it looks like. 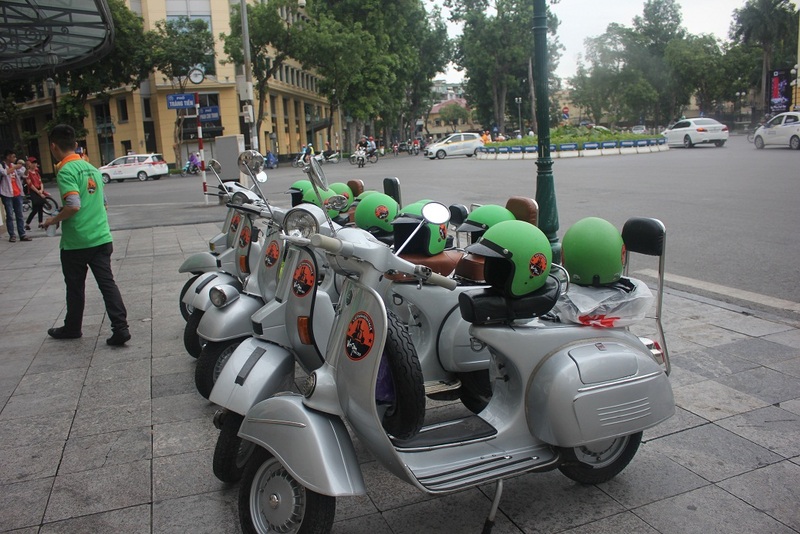 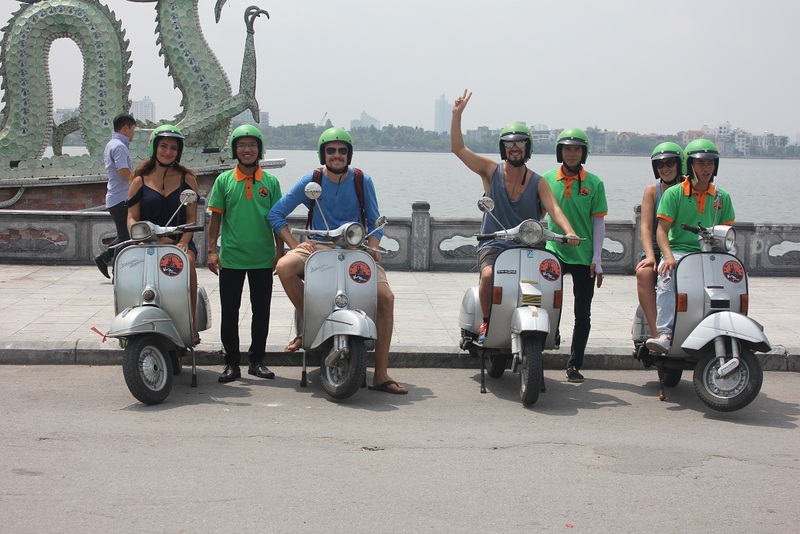 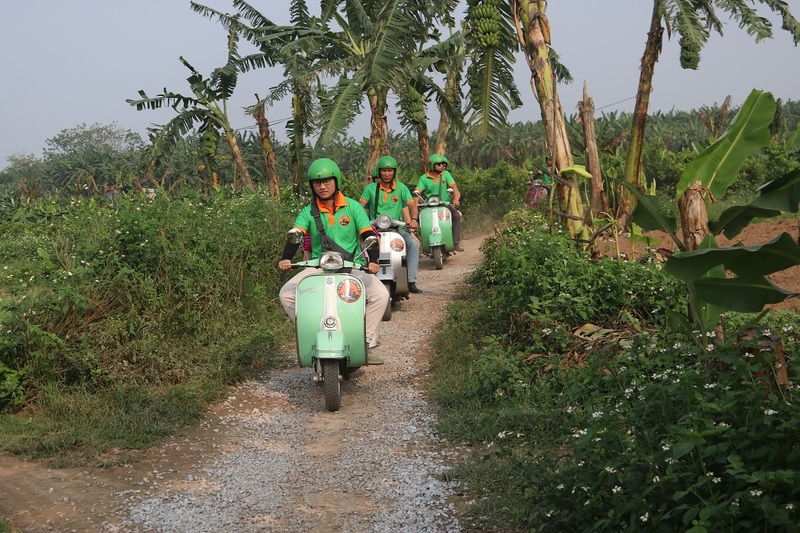 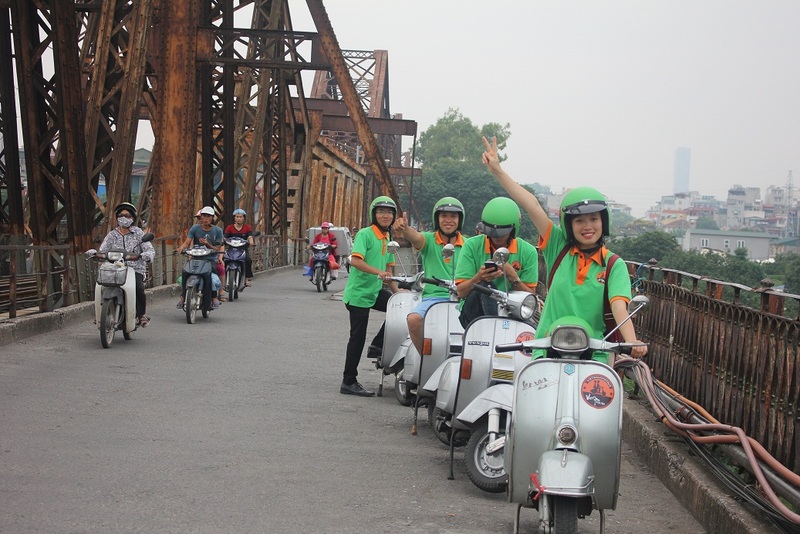 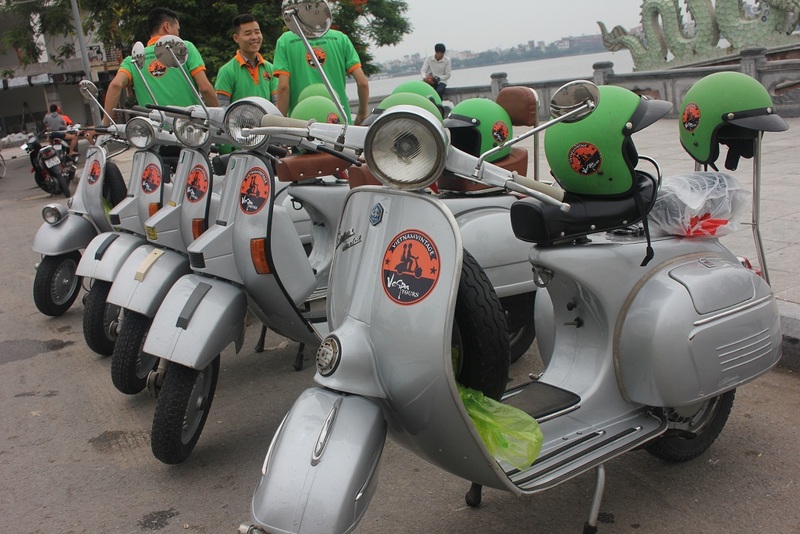 Hanoi Vespa Tour welcome's you are excited to give you an experience unlike any other!